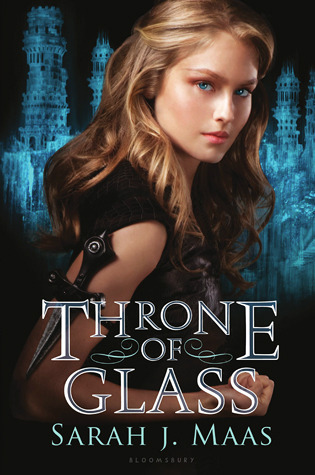 Celaena Sardothien, one of the Arobynn’s Assassin, has joined the competition to become the King’s assassin. Arobynn Hamel is the “king of assassins” and feared throughout the world. She was sent to the salt mines, Endovier, a place where many criminals die from overworking and starvation, when she failed to accomplish a mission and betrayed by Arobynn. The prince, Dorian, figured that she shall compete to become the king’s assassin, and to get her to compromise, Dorian say she has to work for 3 years before she could earn her freedom. Hearing the word freedom, Celaena agreed to participate. She was taken to the palace located in Rifthold, and a captain of the guards, Choal Westfall, has to keep her under his supervision. Celaena decided that she would explore the room and realized that the tapestry hanging on the wall was blowing outward and soon enough, she found a secret passageway. Though she did not go into all of the rooms but the mellow damp feeling starts to scare her. She falls asleep on her bed but a mysterious force pulled her out and she walked down the steps to the room that she refrained from going. Inside the room, she meet the spirit of the first queen of Adarlan, Elena Haviliard, who warned of the evil stirring and would cross into the mortal world, and she wants her to stop them. The book has many suspense and this allows the reader to wonder what happens next. Though some parts are confusing and jumps from one idea to the next, if the reader was able to read it again, they would be able to convey the thoughts and conflict from the characters. The author used many discriptive language and strong vocabulary that flows along with the story and creates a vivid imagery that engrosses you into the story the more you read. The author characters personnalities through thoughts and actions. I would recommend this to middle school students and older since the vocabulary used were vast and some students would not be able to understand the plot of the story. I would rate this 8 out of 10. 1. Why did the prince excused the assassin when she did not bow and apologized to her when the duke slammed the ground? 2. How can Celaena, the assassin, speak in Eyllwe to the princess, Nehemia, when the country she lived now spoke a different language? 3. Why did the champion try to escape, but was shot the second reached the door? 4. Why was Nehemia associated with the rebels? 5. Why did the assassin save Nox, another competitor who was falling down the building? 6. How does Cain know whom Lilian, Celaena, really is, and where she came from? 7. Why can’t Celaena participate in the Samhuinn? 8. How did Celaena able to find the hidden door behind the tapestry? 9. Why did the first queen of Adarlan asked Celaena to become the champion and assassinate the king no matter the circumstance? 10. What was the name of the first champion that was murdered? 11. Who taunted Celaena and lost against her? 12. Why did Celaena think that the murdered bodies are in a pattern? 13a. Pelor helped her since they were often bullied by Cain, a champion, and outsiders help each other. Elena also warned her that she can find answers when she look to her right. 14. Why was the rebels, or Princess Nehemia’s citizens, were all killed by King Adarlan’s army? 15. Why did Kaitlin drugged Celaena with Bloodbane before the final battle with Cain?